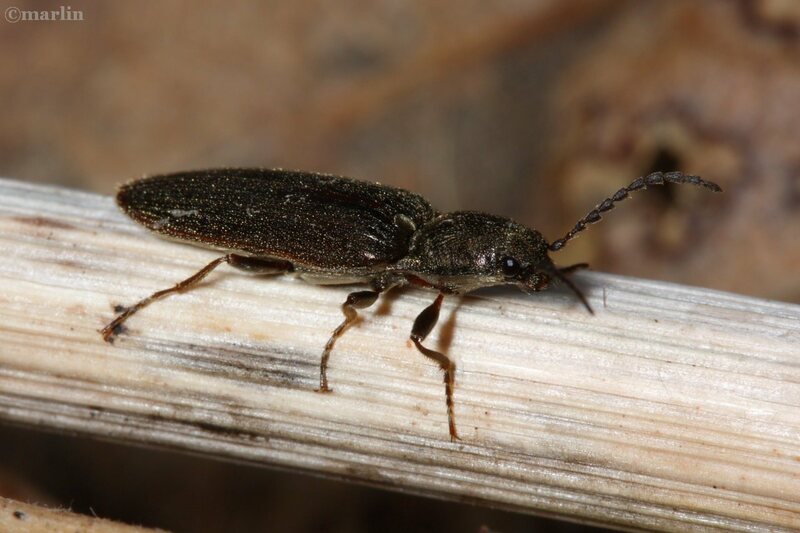 Beetles in the family Elateridae are commonly called click beetles, elaters, skipjack, snapping, or spring beetles. They posess a mechanism by which they can violently launch temselves several inches into the air, a method they use to avoid predators and right themselves if they happen to fall on their backs. A spine on the prosternum can be snapped into a corresponding notch on the mesosternum, producing a violent “click” which can bounce the beetle into the air. There are about 7000 known species. 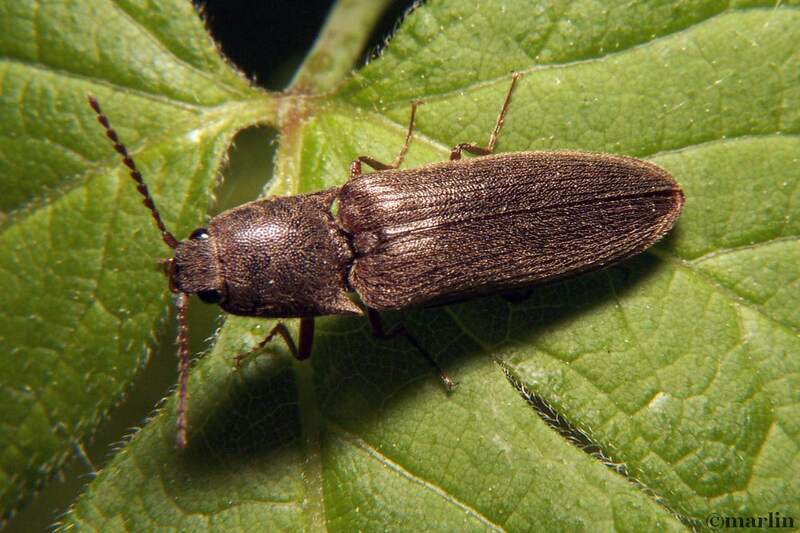 Click beetles can be large and colorful, but most are small to medium-sized and dull brown or gray. The adults are typically nocturnal and phytophagous. Like many nocturnal insects, they are attracted by artificial lights, and in hot weather, they are prone to enter houses at night if doors or windows are left open. The larvae of a few species, called wireworms, can be serious agricultural pests of corn and other cereal grains. 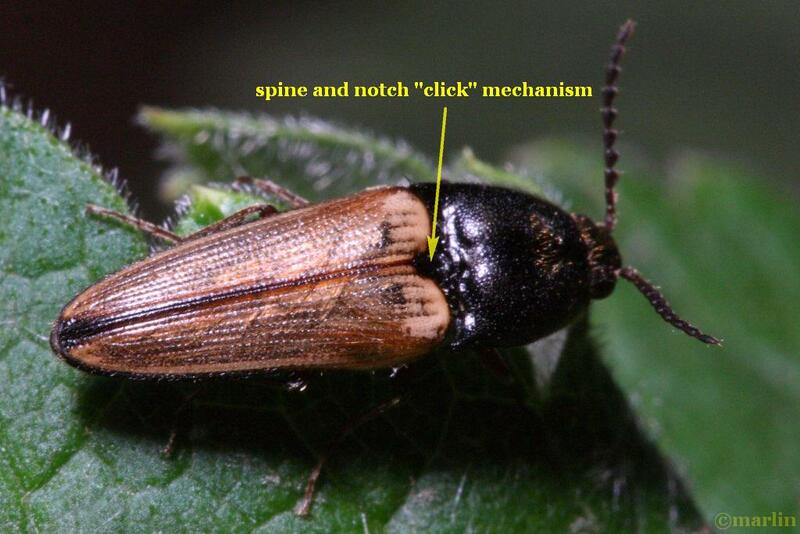 Click beetles undergo complete metamorphosis: Egg – larvae (beetle larvae are called “grubs”) – pupa – adult. 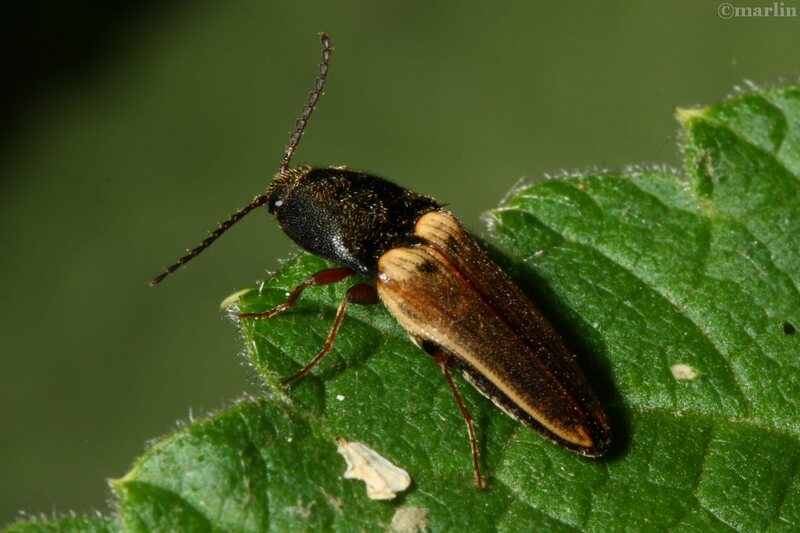 Some species of click beetle have larvae that have a hard shell, commonly called “wireworms.” These grubs can be serious agricultural pests, feeding as the do on the roots of plants (corn and other cereal grains are often attacked) during their 1-3 year portion of the life cycle. Wireworm larvae are hard, smooth, slender, wire-like worms varying from 2 to 1 inches in length when mature. They are a yellowish-white to a coppery color with three pairs of small, thin legs behind the head. The last body segment is forked or notched. Wireworms usually take three to four years to develop from the egg to an adult beetle. Most of this time is spent as a larva. Generations overlap, so larvae of all ages may be in the soil at the same time. Wireworm larvae and adults overwinter at least 9 to 24 inches deep in the soil. When soil temperatures reach 50 to 55 degrees Fahrenheit during the spring, larvae and adults move nearer the soil surface. Adult females emerge from the soil, attract males to mate, then burrow back into the soil to lay eggs. Females can re-emerge and move to other sites where they burrow in and lay more eggs. This behavior results in spotty infestations throughout a field. Some wireworms prefer loose, light and well drained soils; others prefer low spots in fields where higher moisture and heavier clay soils are present. Larvae move up and down in the soil profile in response to temperature and moisture. After soil temperatures warm to 50 F, larvae feed within 6 inches of the soil surface. When soil temperatures become too hot (>80 F) or dry, larvae will move deeper into the soil to seek more favorable conditions. Wireworms inflict most of their damage in the early spring when they are near the soil surface. During the summer months the larvae move deeper into the soil. Later as soils cool, larvae may resume feeding nearer the surface, but the amount of injury varies with the crop. Wireworms pupate and the adult stage is spent within cells in the soil during the summer or fall of their final year. The adults remain in the soil until the following spring. 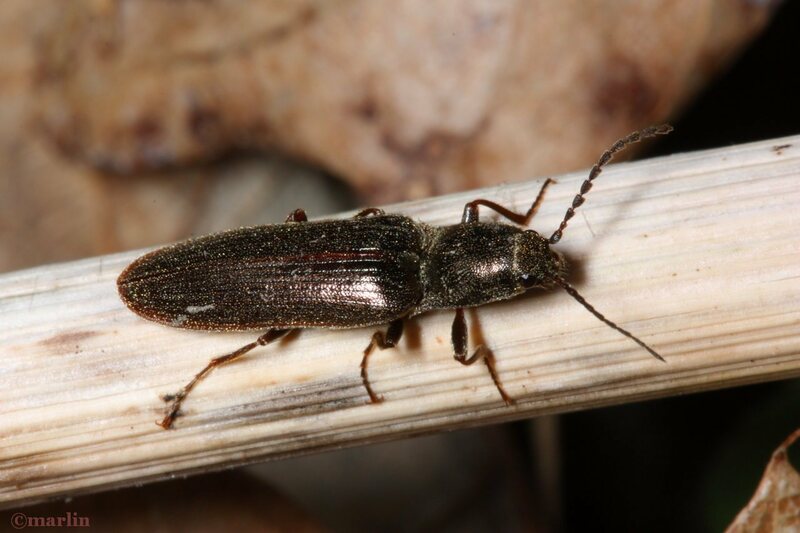 Wireworm infestations are more likely to develop where grasses, including grain crops, are growing. Crops susceptible to injury include small grains, corn, potatoes, sugar beets and vegetables. Legumes are less likely to be injured. Wireworms damage crops by feeding on the germinating seed or the young seedling. Damaged plants soon wilt and die, resulting in thin stands.